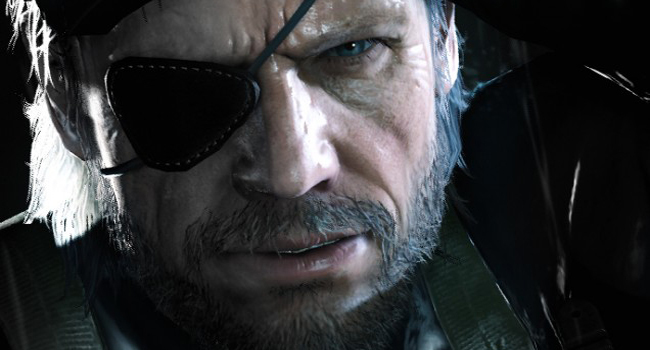 Metal Gear Solid V: the Phantom Pain continued Konami’s E3 tradition of bizarre trailers that straddle the line between brilliance and absurdity. The Microsoft press conference opened with Snake hanging off the side of a horse and it closed with him firing an AK47 into a prison cell full of children. We were also introduced to “Skull Face.” He has a skull for a face and…oh, you want to hear more about the child murdering. Later in the day, an uncut version of the trailer was released. It contained three additional minutes of electro torture, waterboarding, and a person having a package surgically removed from their abdomen while they were still conscious. Later we see children no older than five being taught how to aim rifles. Most games boast gritty storylines and content, but Metal Gear Solid V ventured into territory that left me genuinely perturbed. Then I realized—this is truly a next-gen Metal Gear. Now that new gaming hardware can create enemies to look and act exactly like us, the eye can no longer tell the difference between animated violence and real violence. As a result the discourse produced by Metal Gear will become more complex, both morally and intellectually, as the content matures visually. The horror of war once represented abstractly with outlandish characters and situations (Metal Gear Solid 3 filled a river with the ghosts of every enemy you killed thus far) will be represented in The Phantom Pain literally along with the kooky style found in prior games. It’s a bold direction for the franchise that could have only existed when the demented imagination of Metal Gear creator Hideo Kojima and the sheer horsepower of next generation hardware collided. Looking back at the uncut trailer, I’m beginning to see the ramifications as well of the justification of new consoles. Raw calculating power gives developers the ability to render their visions down to the most trivial detail without sacrificing gameplay. This power translates to zero limitations from a technical and artistic standpoint. War should be shocking. The imagery should linger in your brain and challenge your perception of right and wrong. By the end of E3 2013, I realized that The Phantom Pain has an opportunity to examine the subjects of torture and child soldiers in a way that is unique to the gaming medium. That opportunity is afforded by the rapidly intriguing next-gen consoles.